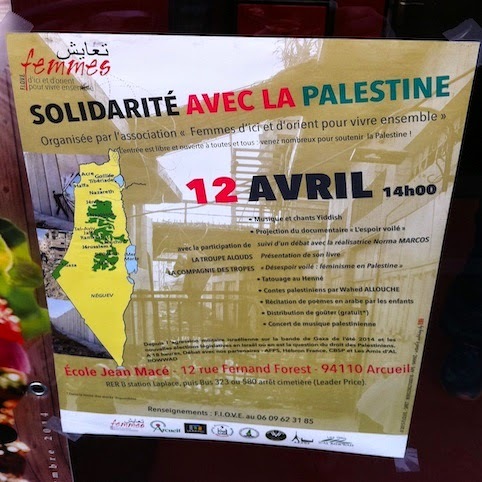 The murderous targeting of shoppers buying groceries before the Sabbath, two days after an attack on the journalists of Charlie Hebdo, came amid a surge in anti-Semitism that has Jews questioning how long they can remain in France. More than ever, Canada is seen as a safe haven, and leaders of Montreal’s Jewish community are only too happy to extend a welcoming hand. For Scheier, the sight of heavily armed soldiers guarding Jewish schools clashed with the safety felt by North America’s Jewish communities. Since his return, he has been pushing to make that North American safety available to French Jews. “I think Quebec should proactively be looking to welcome Jews from France who are looking to leave,” he said. Whatever hurdles immigrants have to overcome, Frederic Saadoun says it is worth the trouble. He moved from Paris to Montreal with his wife and young children 10 years ago, as anti-Semitism began to rise in France. There were assaults on Jewish children, anti-Semitic graffiti near Jewish schools and advice from a rabbi not to wear Jewish symbols in public. “We preferred leaving before things got worse,” Saadoun, 46, said in an interview. At the time, fellow Jews in France criticized him for leaving, but now the same people tell him he did the right thing. 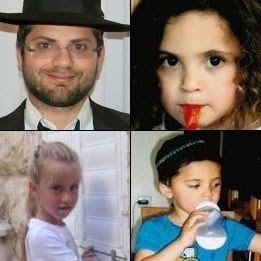 “There are not a lot of countries where you die because you are Jewish, but it happens in France,” he said citing the Hyper-Cacher attack and the 2012 assault on a Jewish school in Toulouse by an Islamist terrorist who murdered three children and a rabbi. “There is a physical threat, but what is even more terrible — because in the end, there is little chance of dying — is to be assaulted in daily life,” he said. 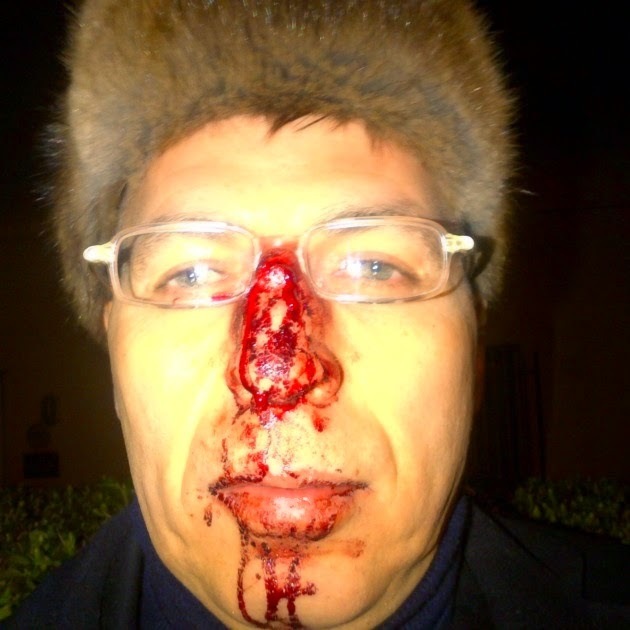 “My father, who lives in southern France, faces verbal and physical abuse when he leaves synagogue. That sort of thing happens every day.” He said his son and daughter, 17 and 15, are now perfectly at ease displaying their Jewish identities in public. It is when they return to France to visit family that he has to warn them. “I tell them to be careful. In the métro, don’t show your Star of David. Don’t display any distinctive symbol showing you are Jewish. They no longer understand, because here they have no problem, they feel safe,” he said. “Canada is peaceful and they do not at all feel threatened as Jews. We have to teach them when they go to France how to behave as threatened Jews.” More. "Depuis Hitler, j'ai toujours su que l'intérêt de la France ne coïnciderait pas toujours ou nécessairement avec celui des Juifs ou des Israéliens." Raymond Aron, De Gaulle, Israël et les Juifs, 1968. A book by Hervé Ryssen. France’s Prime Minister Manuel Valls has announced an action plan that will make the battle against hatred into “a great national cause,” a plan that will include awareness programs and enhanced punishment for online hate speech, with stiffer prison sentences for hatred-based crimes. The superficially admirable plan springs from honest outrage on Valls’ part — but outrage that has undergone a disquieting sea change since it was first expressed. Valls’ capitulation to France’s pre-Hebdo default of moral relativism is sad to behold. Valls’ outrage now sees anti-Semitism not as a singular problem, rather as only one of multiple hatreds, and no more distressing than hatred of foreigners (who? ), gays and — of course — Muslims. The truth, which Valls understood very well in January, is that there is no hatred for any group in France equivalent to that of Jew hatred, routinely expressed in virulent hate speech, vandalism, beatings and murder. Foreigners, gays and Muslims are not fleeing France. The institutions of foreigners, gays and Muslims are not being guarded around the clock. Fifty-five per cent of hate-driven acts are not happening to foreigners, gays and Muslims, but to Jews (1% of the population). Suite. Hamas, Al Qaeda, Boko Haram, Hezbollah, Daesch, ISIS etc etc. La 11e conférence a eu lieu à Bruxelles, capitale de l'Europe... Tout ceci se passe en Europe dans l'indifférence générale la plus totale. Voir ICI. · The Palestinian Return Center (PRC), the most important Hamas-organisation in Europe, which is operating in several countries. 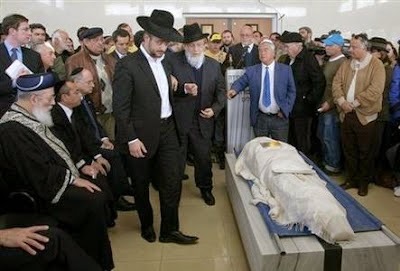 · The Palästinensische Gemeinschaft in Deutschland (Palestinian Communion in Germany), the German Hamas-Front, which was already involved in the Hamas-conference in Wuppertal/Germany 2011. 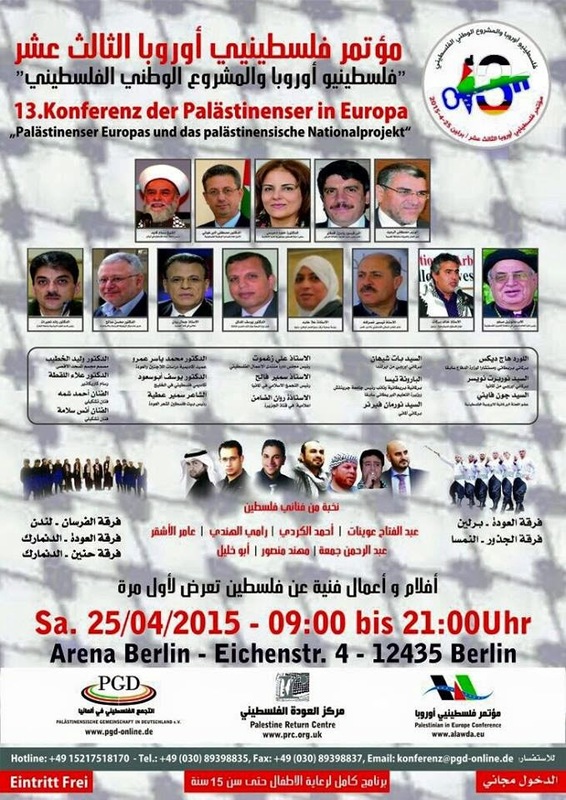 · The Palestinians in Europe Conference another major Hamas-organisation in Europe, which is operating inter alia in Austria and Germany. Its seat is in Austria. The gathering is titled the 13th Conference of Palestinians in Europe. Palestinians in Europe and the Palestinian National-Project.“ It will be held in the Arena Berlin a huge event compound at the river Spree. Speakers aside of Hamas will include European politicians, the vice chairman of AKP Yasin Aktay is also expected. As in last conferences the leadership of the Muslim Brotherhood in Europe will also attend the gathering, though it is not mentioned in the offical announcement, to obscure the true nature of this conference. The Muslim Brotherhood in Europe is organized in the Federation of Islamic Organisations in Europe (FIOE). 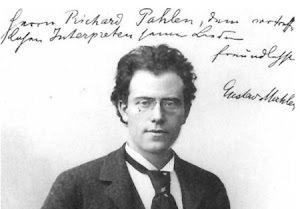 Former conferences included scores of Anti-Semitic posters. While many news describe the conference as pro-Hamas event, in order to support Hamas terror against Israel, one has to understand, that Hamas and Muslim Brotherhood front organisations are not just supporting terror with money and propaganda. In fact Muslim Brotherhood and Hamas fronts have an European agenda too and are heavily involved in the indoctrination of Muslims youths and the organisation of Anti-Zionist activities, which, as we saw in last summer, more and more escalate into open attacks on Jews in Europe. Muslim Brotherhood and Hamas are part of the same network, many important Anti-Zionist avtivities in Europe are organized by these organisations in alliance with AKP-front organisations, Milli Görüs (a Turkish antisemitic movement) and other Islamic extremist organisations. These organisations bear a direct responsibilty for the escalation of Anti-Semitism in Europe. They are well entrenched in politics, supported and protected by politicans. The head of the Palestinians in Europe Conference is Adel Abdallah aka Adel Doghman. 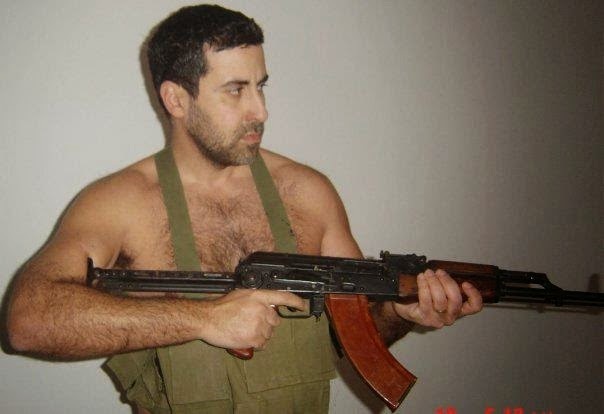 Doghman was the head of the Palestinensische Vereinigung in Österreich (Palestinian Association in Austria), which was designated 2003 by the US as a terrorist organisation. The successor organisation of the Association is the Koordinationsforum zur Unterstützung Palästinas (Coordination Forum in Support of Palestine), which has strong ties to Austrian politicians. The Coordination Forum is deeply entreched in the Islamische Glaubensgemeinschaft in Österreich (IGGiÖ - Islamic Denomination in Austria) the official and legal body of Islamic organisations in Austria. Austrian politicians and antifascist organisations decided to turn a blind eye on the fact that all major Anti-Semitic events in Austria are not organized by Nazis but the IGGiÖ. As in Austria you will find Hamas and Muslim Brotherhood fronts (for example the Union des organisations islamiques de France - UOIF in France) as major players in the radicalisation of Muslims in Europe and as in Austria no one will dare to confront these organisations. So their incitement and radicalisation program will go on and bear its results. 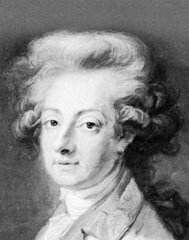 Mon amitié pour Dieudonné était sincère. Je crois que sa trahison l'a tout autant été... Jusqu'au bout j'ai fait confiance à Dieudonné car je ne pensais pas qu'il serait capable de trahir un frère d'armes. J'avais envie aussi peut-être de refaire confiance à l'humain... Une erreur sans doute... Ce n'est que grâce à mes avocats que j'ai compris que Dieudonné et son entourage se servaient de moi depuis plus de 8 mois en me faisant des tas de promesses sans jamais rien concrétiser. [...] 8 mois de ma vie gâchés pour une simple pompe à fric anti-sociale et pro-système ! Dieudonné me fait passer pour un amateur d'argent qui aime le luxe et refuse de vivre dans une caravane avec sa femme et sa fille handicapée de 6 ans. C'est vrai Dieudo, je refuse de vivre dans une caravane. Toi qui gagne 300 000 euros par mois, qui vit dans un château avec parc, piscine et terrain de tennis, qui fréquente les plus grandes tables de Paris comme le restaurant Lasserre, tu devrais avoir honte d'offrir des salaires de misère à tes employés et de proposer à un de tes amis de loger sa fille handicapée dans une caravane! J'aimais beaucoup Dieudonné et j'avais beaucoup de respect pour lui mais il me serait difficile de pardonner ces trahisons ! Je suis un homme déçu et blessé. J'ai été berné par Dieudonné mais cette aventure m'aura tout de même permis de voir l'envers du décor, de voir les coulisses de Dieudonné et je peux vous dire que ce n'est pas joli-joli: des collaborateurs exploités, un mépris total des fans, des comportements et des habitudes aux antipodes du message que nous portons, un manque total de respect et de politesse, une obsession de l'argent, un désir démesuré de rentabilité, un dégoût des chômeurs, de l'hypocrisie à l'égard des musulmans dont on se moque tout en faisant semblant de les défendre car ce sont eux qui font tourner les billetteries (merde, quand même! ), des mensonges, des faux semblants. En gros du show permanent et aucune sincérité. Si les fans avaient pu voir ce que j'ai vu, pas sûr que Dieudo pourrait encore remplir des Zéniths... Je t'aimais bien Dieudonné mais tu as été trop loin. – L’Association islamiste placée sur la liste officielle des organisations terroristes du Canada et des États-Unis d’Amérique : Comité de bienfaisance et de secours aux Palestiniens. La censure la plus efficace, l’autocensure, s’exerce sur l’assignation à certains termes. Eviter de spécifier que les victimes sont chrétiennes ou juives et que les assassins ont agi au nom de l’Islam est le nouveau devoir du politiquement correct. Quel besoin de signaler que les assassins au Kenya ont spécifiquement abattu les étudiants chrétiens? Les victimes sont des êtres humains parmi d’autres et pourquoi ne pas les plaindre globalement sans diabolisation? D’ailleurs, ajoutent les nouveaux experts, «ce n’est pas là l’Islam». Moyennant quoi, on se condamne à ne rien comprendre. Dans son discours à Izieu, François Hollande a dit que à chaque fois les Juifs sont tués parce qu’ils sont juifs, les Chrétiens parce qu’ils sont chrétiens, et il a ajouté « les Musulmans parce qu’ils sont musulmans ». Non, Monsieur le Président, les Musulmans, n’ont pas été tués parce qu’ils étaient musulmans, ils ont été tués parce que l’Islam qu’ils pratiquaient ne convient pas à celui que pratiquent leurs assassins. On affaiblit ainsi le combat difficile que livrent les Musulmans qui luttent authentiquement contre cet Islam barbare parce qu’il les défigure, mais qui savent qu’il est l’une des potentialités de l’Islam ; eux n’esquivent pas la question et ne se posent pas en victimes de premier rang. Tant de fois ressassée, la phrase de Camus résonne toujours à nos oreilles: «A mal nommer les choses, on ajoute aux malheurs du monde». 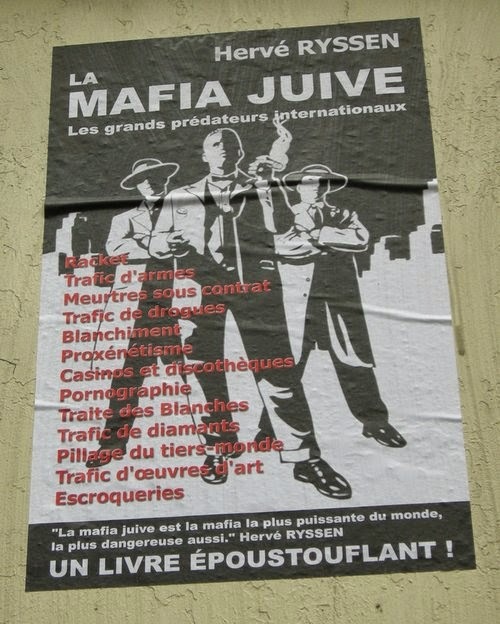 Mal nommer ou, plus insidieusement encore, ne pas nommer du tout, et devoir écouter dans les déclarations ce qu’elles ne disent pas, c’est la prémisse de nos abdications. Le vernis universaliste est trop souvent une feuille de vigne qui recouvre notre lâcheté physique d’un mince confort moral. Bosnia: Football fans wave Palestinian flags, chant "Kill, kill, the Jews"
Europe: Living a Jewish life is full of "everyday acts of courage"
Israel: "They [European observers] are against Jews too"
Sweden: "In one day, I spotted and heard more anti-Semitism than I did in a week in Morocco"
Par manque de temps, il ne nous est pas possible de traduire ce post déjà publié ICI. "Write this in your diary Anne!" 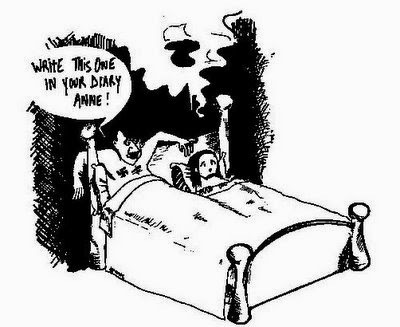 Times in 2006:"A Belgian Arab group released a cartoon showing Adolf Hitler in bed with Anne Frank. 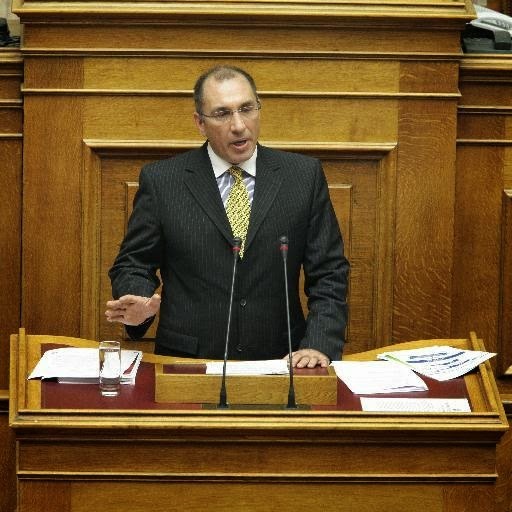 “Europe, too, has its sacred cows,” said the group’s leader, Dyab Abou Jahjah, “even if they are not religious sacred cows.”" That leader, Dyab Abou Jahjah, as this blog has reported, has become a columnist for the Standaard, is highly regarded by the media and the establishment. Le Soir praises him to the skies and has hailed him as an "opinion leader" (26/03/2015). [...] I wanted to try to answer a particular question sent to me by a reader in Belgium. [...] a Jewish person in Belgium who asked to remain anonymous: "I read your article, and the experience of the Jews of Belgium is similar, or maybe worse, than the experience in France, because our government is quiet on the subject and there are not so many of us here. However, I don't want to leave. This is my country. You probably feel that way about your country. If you were a Belgian Jew, what do you think you would do?" But my answer is this: If I were a completely assimilated Jew, one who, say, has married out of the faith; one who is not raising my children Jewish; and one who does not associate with Jewish people in specifically Jewish places, then I think I would be fairly safe in Belgium. 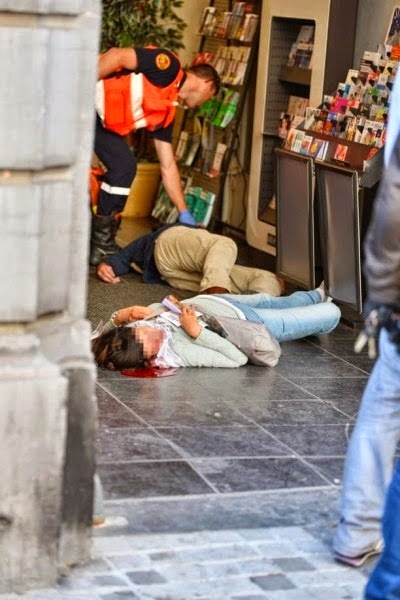 It is possible to be secure in a place like Belgium by avoiding Jewish institutions (synagogues, schools, and so on) and, of course, by not participating in any obviously Jewish activity, or dressing in an obviously Jewish manner. So it comes down to a person's relationship with Judaism. Obviously, the Nazis are not coming, and so it is not unduly dangerous to have Jewish ancestry. The article I wrote, however, was about normative Jewish life. For those people who want to be actively Jewish, a place like Belgium could, in fact, be dicey. I suppose that if I lived in Belgium, and could afford to be mobile, I would be getting mobile. But these are terribly hard questions. If I had parents, or siblings, who were tied to Belgium, I probably wouldn't be so quick to look for an exit. More. Une compagnie d’assurance belge a refusé de prendre soin d’une école maternelle juive de Bruxelles. Le motif invoqué? La peur d’une attaque terroriste. La compagnie estime que le risque d’un attentat est beaucoup trop élevé. Une réaction qui a fait sortir de ses gonds le rabbin Menachem Margolin, président de la fédération européenne d'associations juives (EJA). Il a imploré l’Europe d’assurer toutes les institutions juives. Pour lui, recourir à un critère sécuritaire pour refuser d’assurer un jardin d’enfants est scandaleux. A l’EJA, un secrétaire nous a expliqué que l’assurance s’est depuis lors rétractée. «Ils n’ont plus invoqué un problème de risque pour ne pas assurer l’école. Ils ont mentionné le fait qu’elle était beaucoup trop petite», nous a-t-il déclaré. 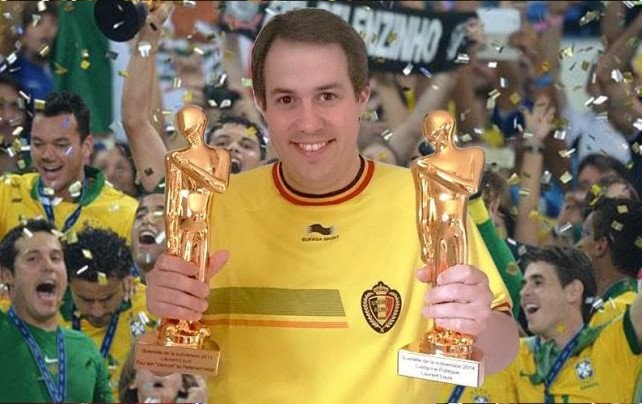 De son côté, Joël Rubinfeld, l’un des co-fondateurs de la Ligue belge contre l’antisémitisme (LBCA), a également réagi à cette histoire. «Je me suis entretenu avec le rabbin Margolin. Il m’a confirmé que l’assurance n’avait pas pu leur fournir un document écrit concernant la raison de leur refus. En effet, seul un courtier a transmis la décision de manière orale. Il n’y a donc aucune preuve pour confirmer le caractère discriminatoire de ce refus», précise-t-il. Depuis lors, l’école maternelle aurait trouvé une compagnie prête à l’assurer. L'augmentation des attaques antisémites sur les institutions juives considérée comme "trop risquée". Une compagnie d'assurance belge a refusé d'assurer une école maternelle juive, affirmant que cela était trop risqué compte tenu des récentes attaques antisémites contre des écoles ou institutions juives à travers l'Europe, indique l'Association juive européenne mercredi. Le directeur général de l'Association européenne juive, le rabbin Menachem Margolin, a déclaré: "Il est regrettable de constater que les compagnies d'assurance ont réalisé ce que beaucoup de gouvernements européens ne voient pas - les institutions juives sont la cible d'attaques terroristes et nous devons veiller à ce qu'elles soient protégées par des forces de sécurité". "Les pays européens doivent fournir des dispositifs de sécurité qui satisferont les compagnies et proposer un plan d'assurance alternatif adapté spécifiquement aux institutions qui sont menacées par l'antisémitisme", a ajouté Margolin. "Il est honteux d'en être arrivé là. D'abord, ils ne font pas assez pour protéger les institutions juives en Europe malgré les demandes et les avertissements récurrents et ensuite les compagnies d'assurance utilisent l'excuse de la situation sécuritaire comme moyen d'éviter d'assurer les maternelles. Cette réalité est surréaliste et cynique", a-t-il poursuivi. Quatre personnes, dont un couple d'Israéliens, ont été tués au Musée juif de Bruxelles en mai dernier par un Français d'origine algérienne Mehdi Nemmouche, qui a passé plus d'un an à combattre avec les djihadistes en Syrie. Paris: "Death to the Jews"
[...] I returned to Paris in 2004. I had never had Arab colleagues before, but on my first project upon returning there were quite a few. They were born in North Africa, highly educated and in France to get work experience before going back home. We had a few conversations about politics – not unusual in France. Some of them told me that there was a tradition of anti-Semitism in their country, especially among the older generations. They themselves didn’t seem anti-Semitic at all. However talking about Israel was much more difficult. I tried very hard to have an exchange with those I considered I could. But it was almost impossible. They always came back to the ‘Deir Yassin’ massacre or videos they would have seen of Israeli soldiers torturing Palestinians. I completely disagreed with their point of view, but I could understand why they felt compelled to have a strong opinion on the matter being fellow Arabs/Muslims. With the French (non-Jewish) colleagues on the other hand, it was much harder to understand why they cared so much about that issue – and seemingly no other. I would have to dig very deep to find any similarity between someone born in France or Gaza. I now think it goes back to the French traditional anti-Semitism. They cannot stand to see the Jews having their own independent place on earth. Believing that the Israeli Jews kill Palestinians may relieve them of their guilt of being Nazi collaborationists during WW2. I remember spending hours in the evening researching on the internet and reading books to try and ensure that I had the ‘right’ argument for these often heated exchanges. It was exhausting and so unfair. I don’t believe any other people are guilty by default like the Jews and need to defend themselves like we do. In the end I just gave up and avoided the subject. Then there was Ilan Halimi in 2006. A young Jewish man kidnapped in Paris by a gang of ‘barbarians’ – that’s what they called themselves – because they thought all Jews were rich. He was held captive in the basement of a housing commission and tortured for 3 weeks until he was left for dead on the street. 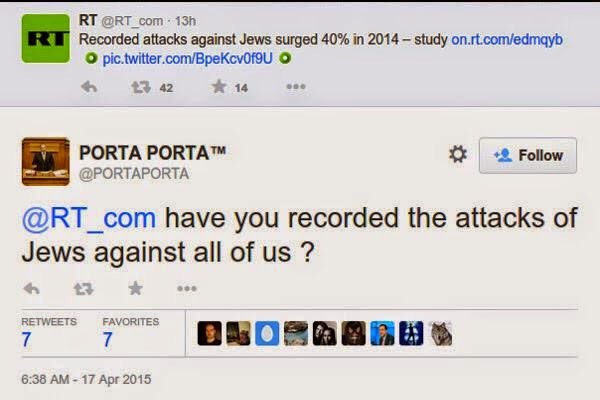 Around me and in the media they tried by all means to prove it was not an anti-Semitic act. They couldn’t stand that if it was actually anti-semitism. They focused more on the killers than the victim to try and find excuses. They also blamed the Israeli prime minister for asking the Jews to leave France. Today I hear there are almost no Jewish children in public schools, even in the centre of Paris. It has become very difficult to teach about the Shoah even though it is part of the curriculum. Jews cannot walk in Paris wearing a kippah for fear of being attacked. 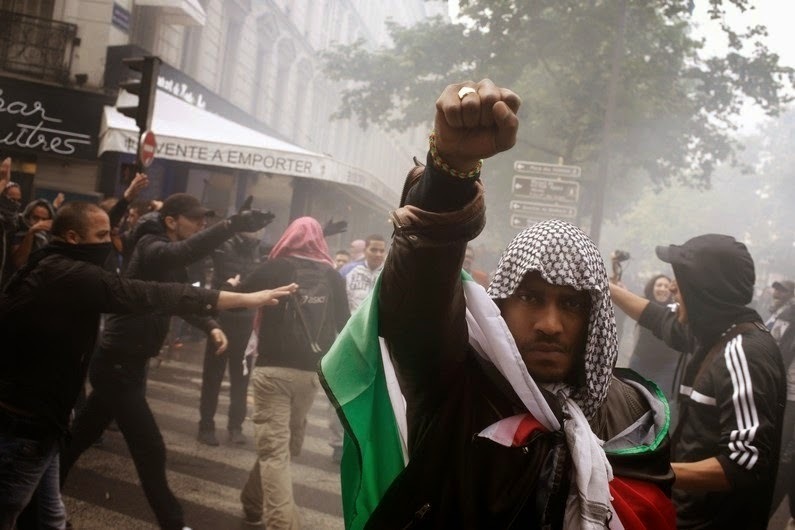 During the last Gaza operation in July 2014, mobs took the streets of Paris screaming ‘Kill Jews’, burned Jewish shops and attacked a synagogue terrorising those locked inside. This year there was “Charlie Hebdo” and “Hyper Casher”. The Jews are leaving France in numbers. I don’t see what can improve this situation. Israel is constantly slandered in the media and people dare to say that the Jews, because of Israel, are responsible for what is happening to them. They say the real victims are the Muslims and they should be protected. The government has deployed the army in front of all the Jewish schools, and it is the Jews not the Muslims who are leaving the country because they fear for their lives. I have never seen a crazy mob on the streets of Paris calling to kill the Muslims – but I have seen violent Muslims calling to kill the Jews. More.